More Affordable Than Typical Body Shops And A Faster Turnaround Time. Contact Us To Get Your Free Estimate Today! Dents. They happen to even the most cautious of drivers, no matter where you park or how hard you try to prevent them. And what’s worse, even the smallest of dings can have a big impact on the aesthetic and monetary value of your car. Even us professionals get dinged, it’s just as frustrating on our end. We get it, trust us. There is nothing more displeasing and upsetting than seeing a dent in your vehicle and not being able to do much about it. Luckily, if you notice a dent in your precious automobile, we have the perfect dent repair solution for you: paintless dent removal. Paintless dent removal (PDR), is a method that has been used for years to repair dents on vehicles that still have their surface paint intact. 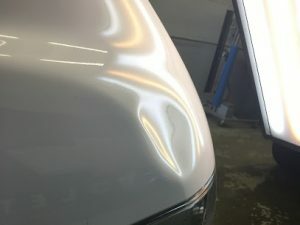 Working on both aluminum and steel panels, this provides a great dent repair method and alternative to collision repair because it is more cost effective, provides faster results, and helps to maintain your vehicle’s factory finish. 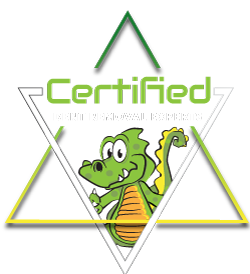 By getting under the surface of the damage, here at DentZilla, we can repair various sizes of dents, covering anything from parking lot dings to larger impact damage, without requiring full body work to be performed. Working through a simple ding to more technically complex damage, we have the talent and skill-set to work on projects that many companies turn down. Specializing in paintless dent removal on high-end cars, and even a few classic vehicles from time to time, you can trust us with all makes and models, no matter what type of vehicle you have. I’ve worked on motorcycle fenders, a few gas tanks (access permitting), even the occasional garage door with a ding in it. 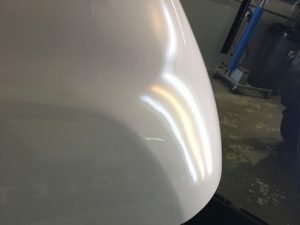 Whether you want to fall in love with your vehicle all over again by getting rid of those unsightly dings and scratches or if you need to turn your lease vehicle in and don’t want to get hit with outrageous surcharges for damage, give us a call or fill out the contact information request form for your paintless dent removal. We have your dent repair covered!